A cozy bedroom is everyone’s dream. 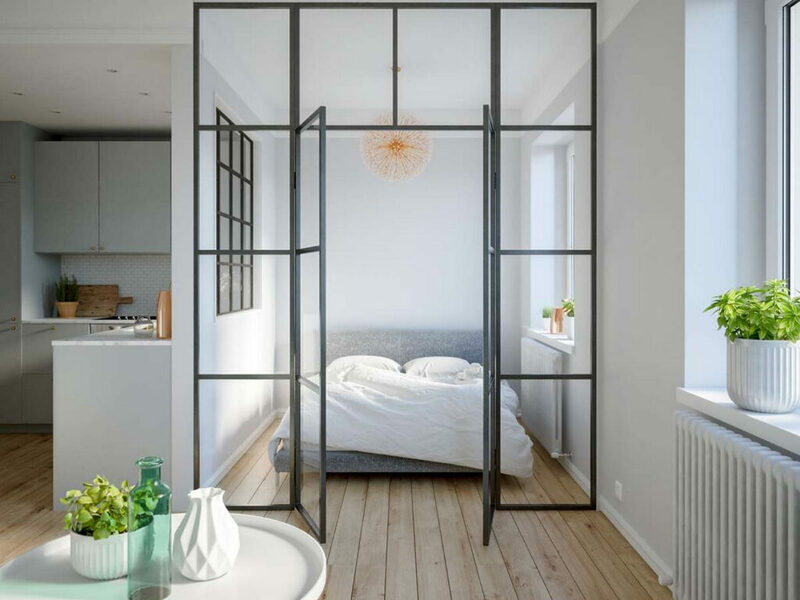 Designing a small bedroom has its own challenges, especially for someone who lives in the small studio apartment. 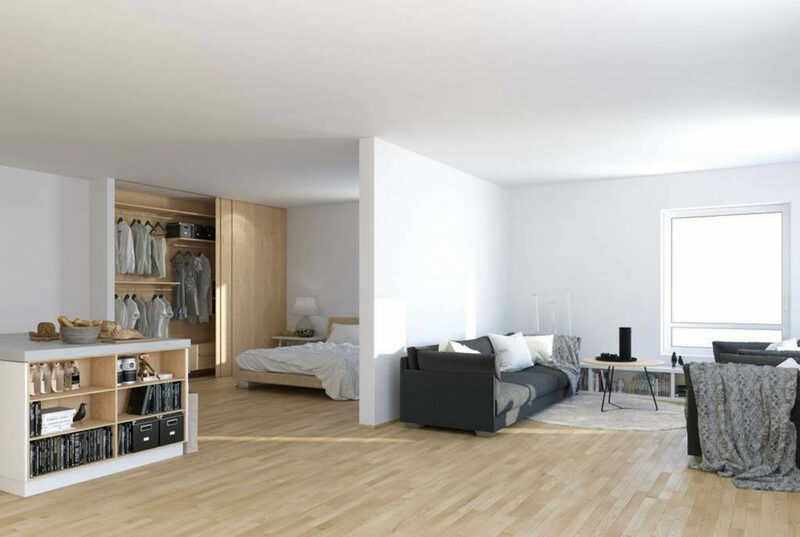 Although integrated with other spaces, the rooms in the studio-type apartments can also be convenient. 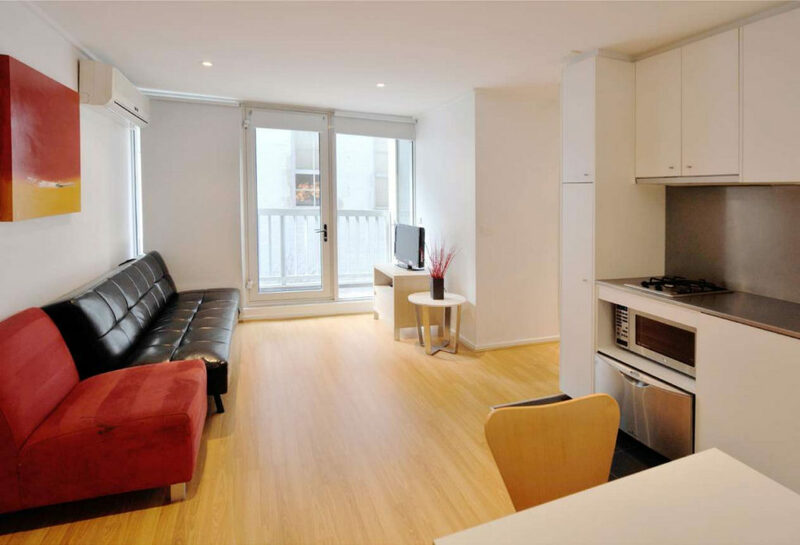 A small studio apartment usually has an area in the range of 20 m². The area of 20 m² must be divided again for some space, such as a bedroom, kitchen, bathroom, wardrobe, dining areas, and a work area. To accommodate all these spaces function in limited space, the designer or the owner of the apartment was often minimized the number of partitions between spaces. 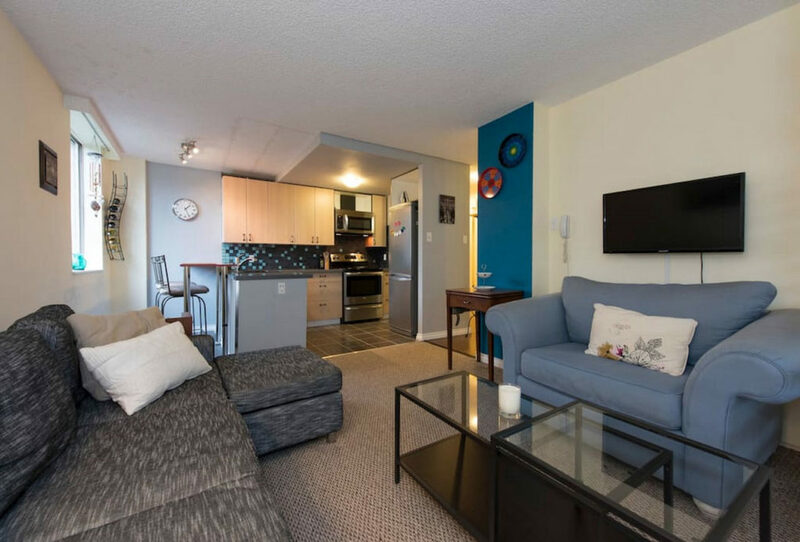 As a result, the apartment is indeed so seemed spacious. But consequently, activity in a room is easily visible from other spaces. The question is, can the time off in the bedroom remains qualified, if such space conditions or in other words have a lot of distraction? 1. Backsplash in the kitchen set area filled with white color so as not to distract the focus of the apartment owner while in bed. 2. 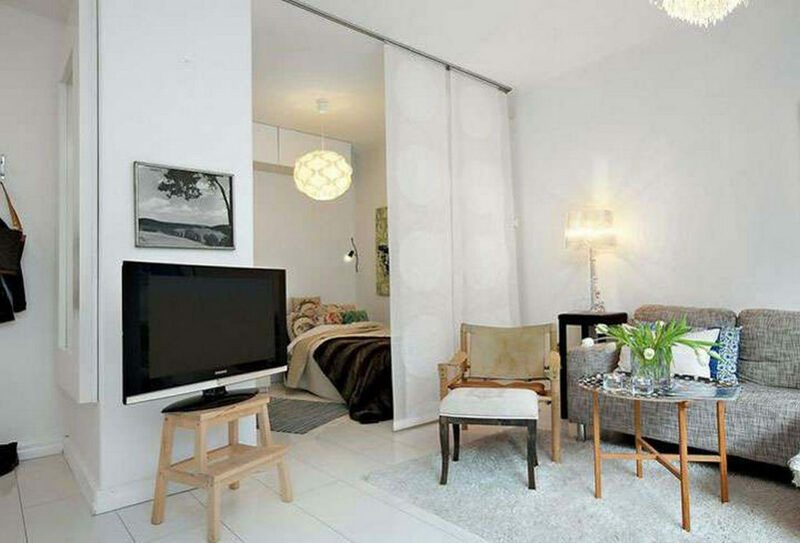 The television is placed across the bed to make it easier for the owner to enjoy his hobby. On the side, there is a work area. The owner must cross the room to get to the work desk. This strategy is made with the aim that the owner is difficult to touch work when he is already in bed. 3. Under the bed was used as storage. 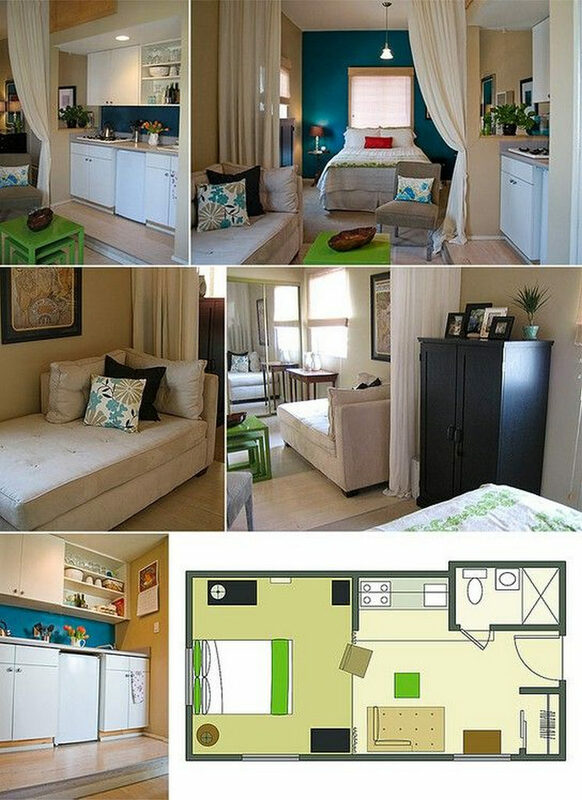 How to Decorate a Bedroom in Studio Apartment Layout? 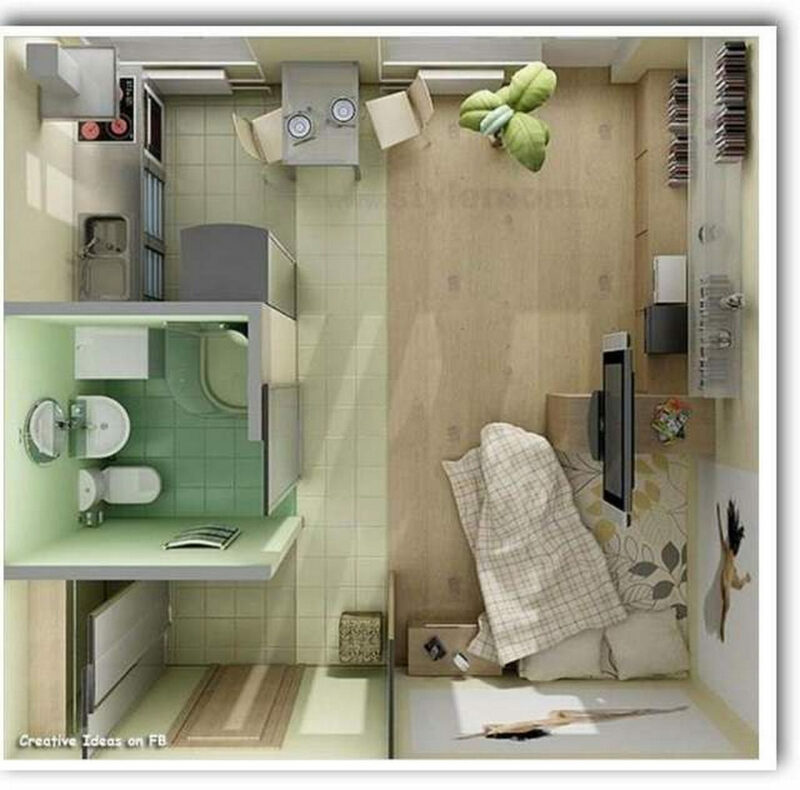 Ninna Suhendra faced the same issue when designing a studio apartment layout belonging to Yudha Mulyawardhani. In studio-type apartments that have minimal insulation, Ninna must ensure that her client’s sleep time is not disturbed by the existence from other spaces that are easily eye accessible. Even though it is integrated with the surrounding spaces, the bedroom interior design must still have an optimal relaxation function. Here are some of the room divider ideas for studio apartments that Ninna did to ensure her client’s sleeping time was of high quality. Ninna’s clients are people who like to watch. 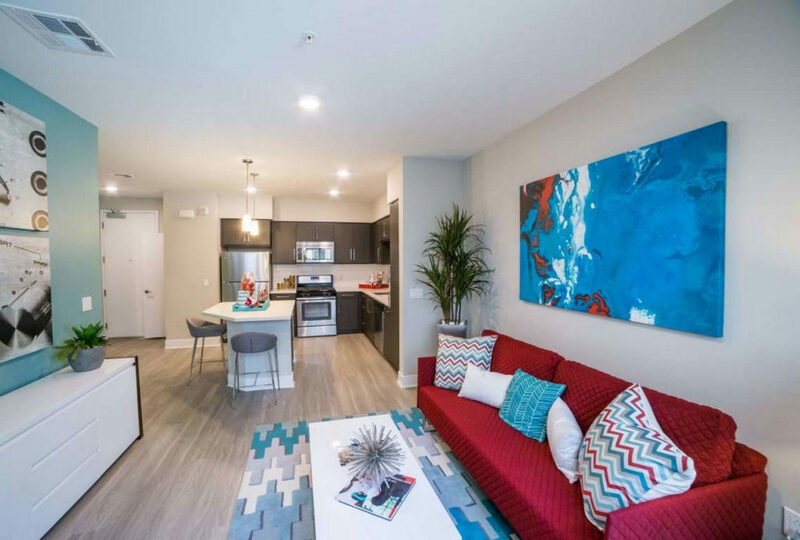 Watching television can be a relaxation for apartment owners. Based on that, Ninna put the television in front of the bed. This position makes the apartment owner able to do his hobby while lying down. The kitchen is a perfect area on the right side of the bedroom. People who lay their bodies on the mattress will inevitably see the kitchen. In order for the kitchen to not be too disturbing, Ninna decided to use white as the majority color in the kitchen. This keeps the kitchen visible, but not too distracting. How can we rest if there are lots of goods scattered about? Well, so that this doesn’t happen, Ninna anticipates it by increasing storage space. Because the apartment has a limited area, Ninna also uses every gap to be used as storage, starting from the bottom of the bar table and under the bed. The goods are neatly stored, the bedtime is not disturbed. 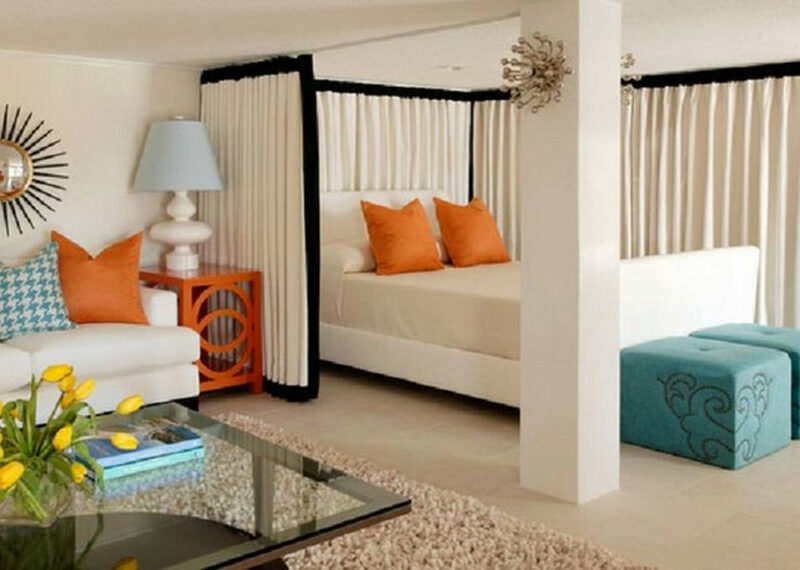 To make the apartment owner’s eyes not tired, Ninna did not use bright colors for the bedroom interior. White, gray, and wood color. Only those colors that Ninna uses to fill the apartment. In addition to facilitating relaxation, these colors also illustrate the personality of a minimalist homeowner. To make sleeping time uninterrupted by work, Ninna keeps the work desk out of bed. The work desk is located opposite the bed, side by side with the kitchen. Because the work desk location is far away from the bed, it will certainly reduce the interest of the owner to “touch” his work. This old Irish proverb still feels relevant to the present. Laugh and sleep can make your mind and body more relaxed. The body that gets enough rest will certainly be healthy. A problem will also feel “smooth” when faced with a fresh mind. Optimal sleep starts from the bedroom. In terms of time, we spend the most time in this space. It is logical that this space needs special attention in its design. The reason is that a well-designed space is convenient for activities. Cozy bedroom ideas can appear from anywhere, but there are many factors that make the bedroom as an ideal place to rest. Everyone certainly has a preference respectively. Some are happy to rest accompanied by music and movies, some are choosing to close to nature, some are purely made his room just as a place to sleep. So, if you like to obtain all these fantastic graphics related to Cozy Bedroom Ideas for a Small Studio Apartment that Works, simply click save button to download these graphics for your personal pc. There’re prepared for download, if you’d prefer and wish to have it, click save badge on the article, and it will be directly saved to your laptop computer. 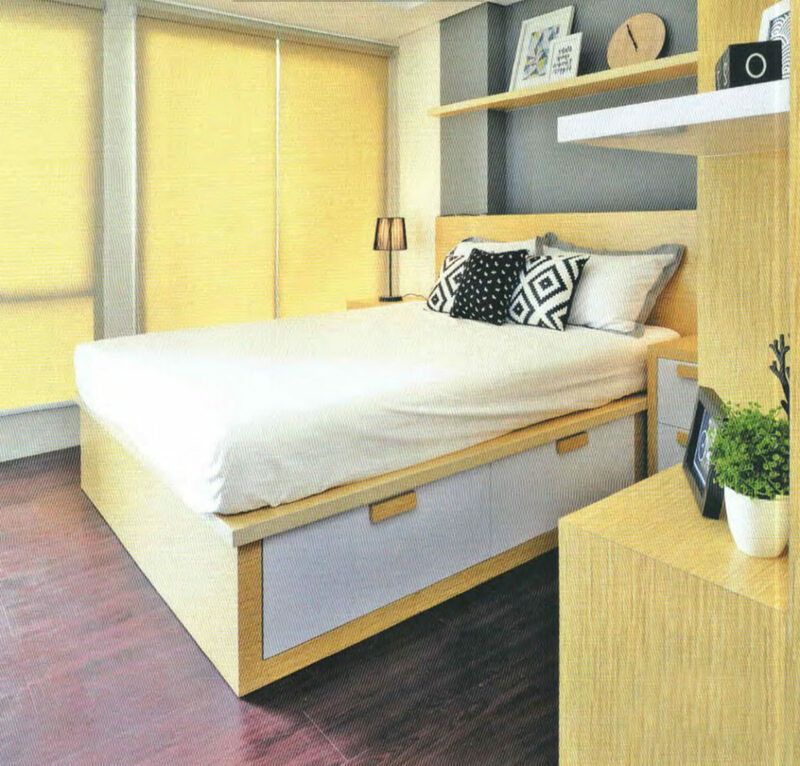 Thanks for visiting our site, article above Cozy Bedroom Ideas for a Small Studio Apartment that Works published. Some people looking for information about Cozy Bedroom Ideas and definitely one of them is you, is not it?